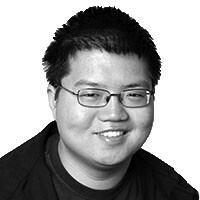 Arthur Chu is a bi-coastal Chinese-American nerd who's currently settled down in Cleveland, Ohio. An actor, comedian and sometime culture blogger, he somehow captured national attention for becoming an 11-time Jeopardy! champion in March 2014 and is now shamelessly extending his presence in the national spotlight by all available means. He lives with his wife and an indeterminate but alarmingly ever-growing number of cats.